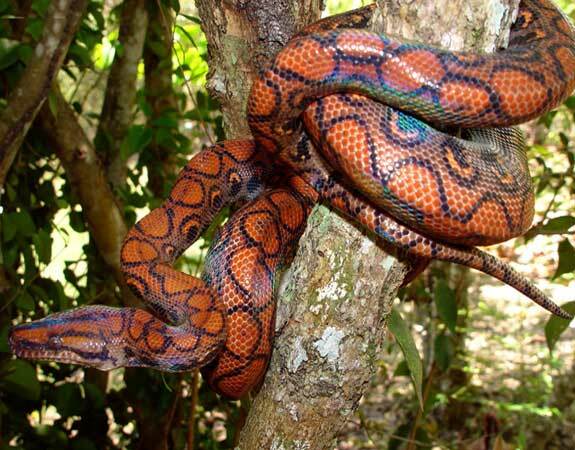 These snakes have beautifully colored coats. They live in mountain forests in regions such as Vietnam, Taiwan and Burma. These snakes are also common in the southern parts of China; many people keep them in captivity because they are easy to tame the snake is also non-venomous. These snakes are associated with mystery and status due to the unique markings on their bodies. Though these snakes were less popular in the 1990s, their popularity is slowly increasing because people are developing an interest in them. Mandarin Rat Snakes have either brown coats with yellow spots or beige coats with black patches. 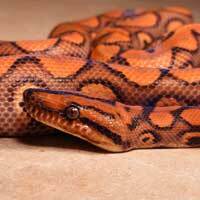 A majority of adult Mandarin Rat Snakes are four inches long though some measure three inches long. Mandarin Rat Snakes that are in captivity should be fed on small rats or mice. One should ensure that the rodents are dead because giving them those that are alive may intimidate the Mandarin Rat Snakes. During the day, Mandarin Rat Snakes like to hide in dark places. When disturbed, the Elaphe mandarina becomes very aggressive and may spit or bite the attacker. Mandarin Rat Snakes like to bask in private and tend to slither and hide out of sight when they discover one’s presence. They also like to sleep when partially immersed in water therefore, a person should provide adequate water for this. This providing a Mandarin Rat Snake with plenty of water for instance an adequate bowl of water is advisable. Mandarin Rat Snakes are shy and quite secretive therefore; their cages should consist of a hiding spots, which could be provided by suitable substrates. Many people prefer to keep Mandarin Rat Snakes captive because they are easy to maintain. The cage of the Elaphe mandarina should have spectrum lighting and a basking spot that receives minimum sunlight.